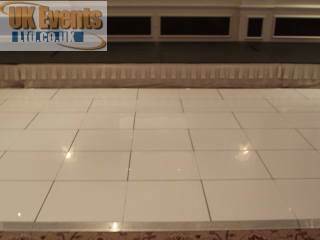 UK White Dance Floor Hire. 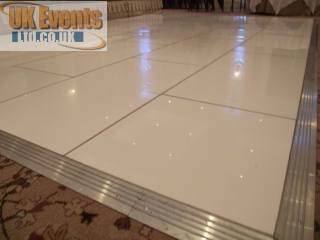 The pure white dance floor has become extremely popular for occasions such as wedding's, Birthday's and special events. White dance floors can be installed to almost any dimension desired producing a stunning effect. This dance floor truly generates that WOW factor to any style of party room. The dimensions of each full panel are 4ft x 2ft and the half panels are 2ft x 2ft. As an alternaive, we have the Starlight white LEd dance floor available for that extra wow factor. 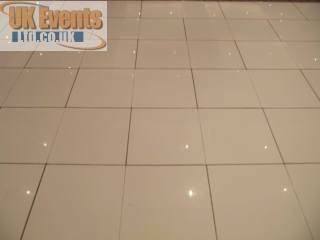 please click on the link below to view this stunning floor.